"Abandoning Land in Israel Worse Than Pork on Yom Kippur", Declares Rabbi - Breaking Israel News | Latest News. Biblical Perspective. 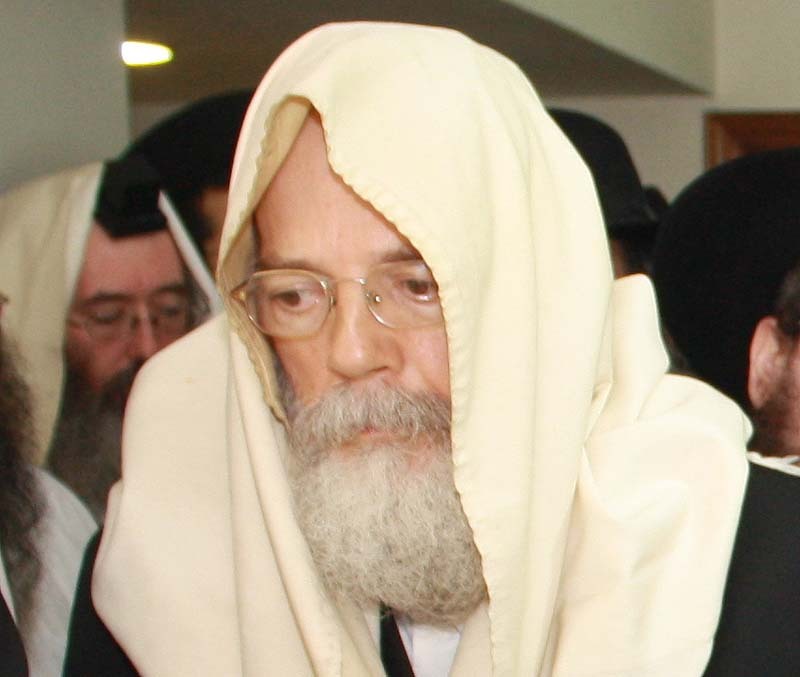 Rabbi Shalom Dov Wolpo, who has been indicted for inciting soldiers to disobey orders to evacuate settlements in the Land of Israel, on Wednesday testified at a Jerusalem Magistrate’s Court hearing about his uncompromising stand against the evacuation of settlements in the land of Israel, Chabad Info reported. Rabbi Wolpo’s trial has been going on for more than three years. The prosecution is expected to ask for one year’s imprisonment should he be convicted. Rabbi Wolpo was active in the protest movement of 2005 that fought the disengagement from Gaza. Following the failure of that campaign he organized a rabbinical conference entitled “We shall never forget and we shall never forgive.” After the Second Lebanon War of 2006, he organized a publicity campaign with the slogan “We Told You So,” which distributed a million brochures, as well as a campaign poster promising that those responsible for Israel’s failures during the war would be “punished from heaven.” In January 2006 he sent then-Prime Minister Ehud Olmert a warning that if he ever gave away even a “tiny parcel” of the Land of Israel he would suffer a bitter fate. Incidentally, both of Rabbi Wolpo’s targets had suffered unhappy fates, one ending up in a vegetative state for a number of years before his death, the other being hauled to jail on corruption charges. Rabbi Wolpo told the court that the destruction of settlements and the expulsion of Jews from their communities in Judea and Samaria as well as from the Gaza Strip have been blatantly illegal. He explained that the purpose of the large conferences he organized, as well as his support for families whose soldier sons refused to expel Jews and carried signs against evictions, were intended to stimulate public opinion. Rabbi Wolpo said in his testimony that according to Jewish law the evacuation of settlements in the land of Israel is a worse sin than eating pork on Yom Kippur, since it endangers the lives of millions of Jews.